Review, or feedback portals, allow external judges to review applications and, optionally, submit answers that include both objective scoring and subjective comments. When an administrator creates a feedback portal, they will provide a URL to all of their portal users/reviewers, who will then log in to that URL and have the opportunity to create a password of their choice. Receive notification from the program administrator that you are a reviewer/judge. Access the URL provided by the administrator. This will take you to the Welcome Page. Enter your assigned email address on the Welcome Page. Getting an Error? If the person accessing the portal is not yet a member, they will receive a notification to contact the administrator. Receive a prompt to check email for confirmation. Now, check your email box. In the body of the email; Access the confirmation link in the email, click the link (or paste into your browser), and return back to the portal. Create a password. Once you do you'll be able to Log in and begin your process! What if the portal user didn't receive the confirmation code? After confirming their email address is correct; You can generate the confirmation code directly from the portal user's record within your Zengine workspace. 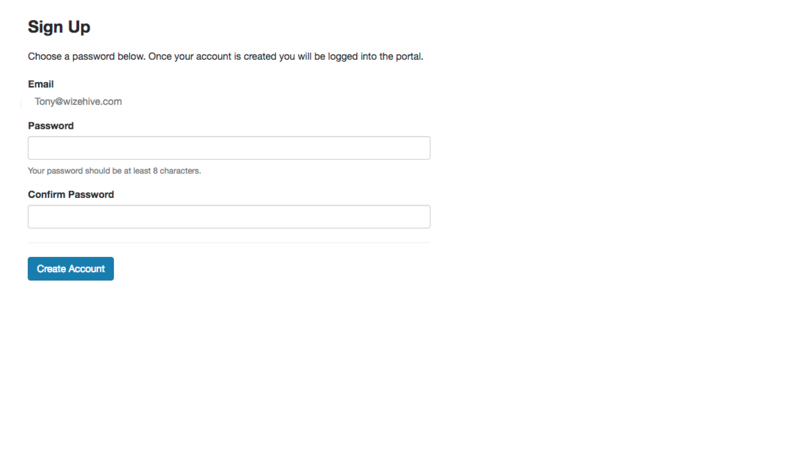 With the record open, click the "Generate Account Confirmation" button at the top of the record, select your portal, click "Generate", and send that code or link to your portal user.